This Couple's Foodie Pre-Wedding Photoshoot Proves That Love = FOOD! What comes to your mind when someone mentions a pre-wedding photoshoot? Exotic locations, fancy décor, elegant outfits and mushy poses - right? But contrary to what most of us fancy, here's a couple who broke the convention in a very romantic and rather, a gastronomic way! 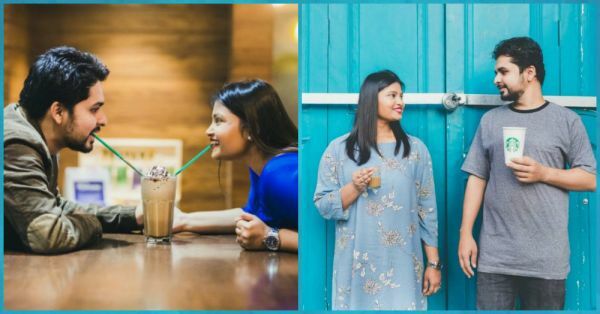 Meet Vishakha Prasad, an advertising professional and Vinit Mehta, a businessman from Mumbai, who ditched the idea of having a regular, mundane pre-wedding photoshoot and instead, decided to dedicate it to their mutual love for food. "We both wanted to do something that we relate to, to the core. And with this thought, I said we should be doing something along the lines of food as we're both connoisseurs of food." While everyone around the couple was nagging them to go on a diet in the days leading up to the wedding, they instead decided to go on a food riot and captured the same. 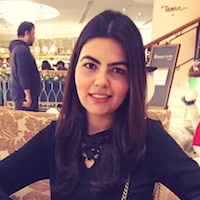 The couple shortlisted restaurants and food joints which are close to their heart, the restaurant where they had their first date to eateries they would often visit to relieve the workday stress. "We captured every sort of food we love, from pedestrian to fancy ones. We also ensured we did not miss any food item we totally love, be it litti chokha from my mom's kitchen or pizza from Gustoso and dosa from Status. Be it paan from muchhad paanwala or our favourite Dev momos, be it seafood from Mahesh lunch homes or our last minute home deliveries from Swiggy. We captured our coffee moments at Starbucks and our doughnut moments at MOD. We captured our midnight desert cravings at Sweetish House Mafia and made sure we got pictures clicked at Natures Basket, our favourite grocery store! For the meat lovers that we are, we captured the food lanes of Mohammed Ali road. There's also a shot of Vinit kneeling down and presenting me with a bouquet of french fries. That's when I knew he is a keeper," shared the bride-to-be. The adorable photoshoot was shot by Samsara Photography and the team made sure to capture each and every moment to perfection. Vishakha and Vinit are all set to tie the knot on the 21st of January in Goa. We wish them a delicious life together!